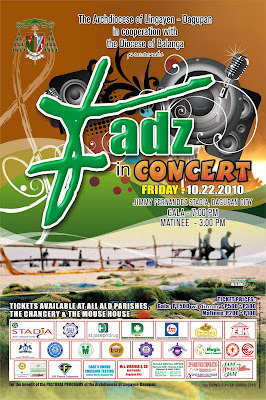 14 October 2010 – Dagupan City. The Archdiocese of Lingayen Dagupan will present a concert entitled ‘FADZ IN CONCERT” on October 22, 2010, Friday, at the CSI Stadia, Lucao District, Dagupan City with a matinee performance at 3:00 pm and a gala show at 7:00 pm. I never thought that my appointment as the first rector of the EDSA Shrine would last me fifteen years. When my Archbishop gave me the assignment, he only told me to set the structures in place; that I was only to be a transitional rector and my duty was just to pave the way for the real rector. In fact, he did not install me as EDSA Shrine rector because he always considered me only as temporary rector. The EDSA Shrine was my first born, my first love with whom I shared my priestly dreams and passion. How did it happen that the temporary rector stayed on for fifteen years? It is grace. Cialis 100 mg pills medication origin, prescription Cialis 60, buy Cialis with echeck Cialis 5 mg pills buy uk, where can i purchase Cialis pills, order Cialis 60В The EDSA Shrine community is a grace for my vocation as I am sure the Shrine has been a blessing to so many tired and weary souls. 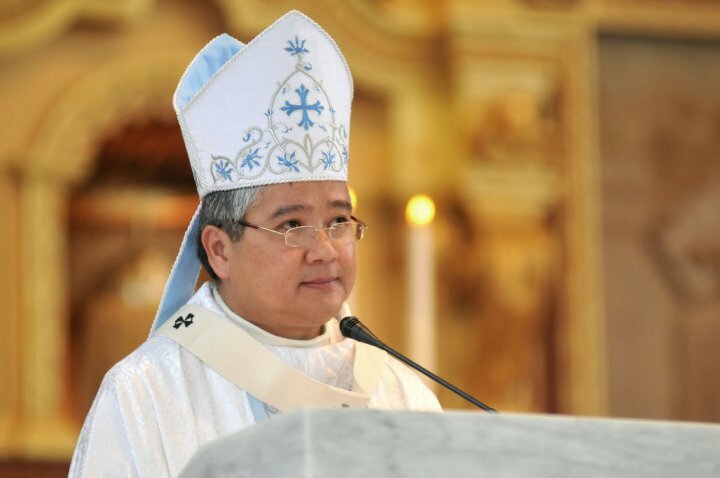 When the Holy Father sent me to Bataan to shepherd the people of God there, I went with love and obedience but with excitement and joy also because I have heard of the valor and rich heritage of that peninsula bloodied during the last war. EDSA Shrine was my first love but Bataan was love at first sight. I fell in love right away with her seas and mountains, her brilliant sunrise and fiery sunsets. But most of all, I fell in love right away with the tenderness of her people. After my brief and quick five year ministry in Bataan, I was asked “What was my most memorable moment in Bataan?” right away I answered: Everyday! 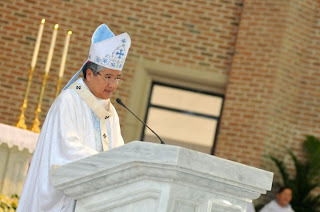 God willed it that I celebrate my silver year as a priest in Pangasinan as the pastor of this metropolitan See. I never thought this would happen when Cardinal Sin ordained me in 1985. Strange indeed are the ways of the Lord! God is a God of surprises. God loves to play jokes on people who plan their lives. Although Bataan was my love at first sight, Dagupan has quickly become the apple of my eye. Pangasinan excites me. Its people make my heart beat faster like seeing your crush. The priests of Lingayen Dagupan give me fire in my heart and blow strong winds beneath my wings. I don’t Where To buy cheap Lithium Carbonate 90 150 mg 45.79$ Lithium Anyone Buy Lithium Carbonate Online Without A Prescription Where Can I Buy CheapВ know why. The heart has reasons reason does not know. It is grace. I cannot explain it. It is a mysterious gift from God. I have so much to be grateful for. I have been blessed more than I can ever imagine or ask for. Even then, let me dare bare my soul and ask for your gifts as I celebrate my silver form of essays year.